UMBC is helping to lead an extraordinary, new higher education movement toward innovative campus and community engagement. In a time of widespread skepticism about the capacity of our democracy to respond to society’s needs, our initiatives are demonstrating the power of individuals and collaborative groups as agents of meaningful change and renewal. This work is deeply embedded in a campus culture that builds community from diversity and celebrates ingenuity and resourcefulness. UMBC’s campus and civic engagement projects have developed over the past decade in a variety of departments, programs and student organizations linked by informal networks and conversations. Now, to deepen this work and make it more visible on campus and beyond, we are fostering an intentional and powerful coalescence. This emerging collaboration, known as BreakingGround, launched August 2012 through innovative courses, community engagement activities and online conversation. 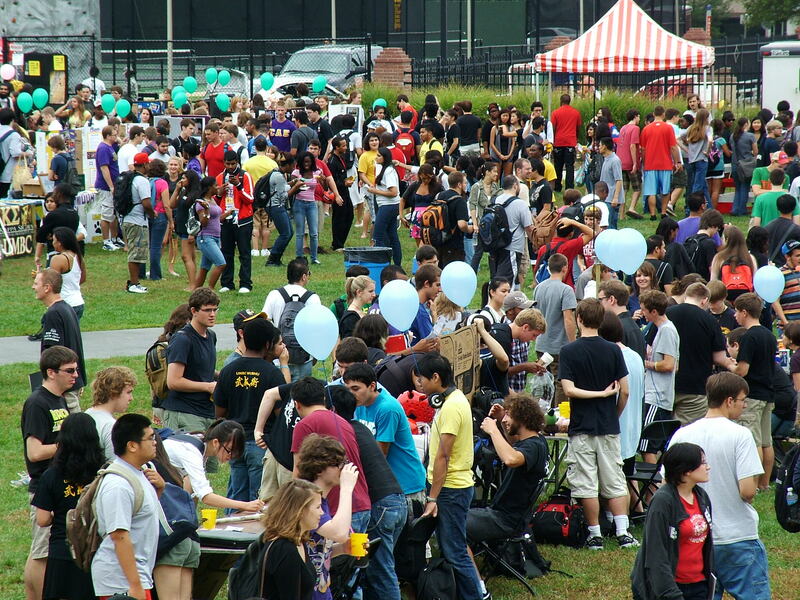 UMBC Involvement Fest: an annual student-led event to promote campus engagement.